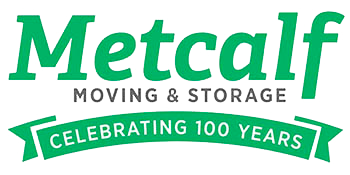 Metcalf Moving & Storage is sponsoring this year’s event, which benefits Hiawatha Homes in Rochester. This marks the 25th year that Metcalf has sponsored this special event. Our owner, Jon Archbold, was announced as radio station WCCO’s Good Neighbor. The award is given to members of the community that are respectful, trustworthy, and who volunteer to do good deeds. Metcalf was one of a dozen Mayflower agents throughout the country to receive this honor, which is based on customer service, claims, and safety records. Terry Rosaaen from our Rochester office was named Van Operator of the Month for May 2013. Eric Brittain received an Honorable Mention this month. The Customer Choice award was presented to 6 agents nationwide and the Performance Excellence Award was given to 13 agents nationwide. These prestigious awards recognize agents based on customer service, claims, and safety records. Eric Brittain was named Van Operator of the Month Runner-Up for September 2011. Jerry Anderson received an Honorable Mention this month.